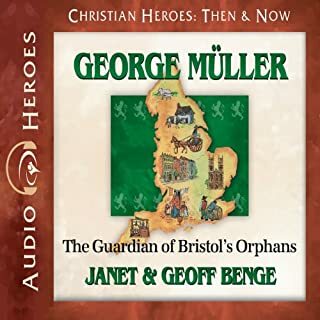 With scarcely enough food or money for his own family, George Müller (1805-1898) opened his heart and home. Sustained by God's provision, the Müller house "Breakfast Club" of thirty orphans grew to five large houses that ultimately over ten thousand children would call home. George Müller trusted God with a depth rarely seen. His faith and generosity set a standard for Christians of all generations. 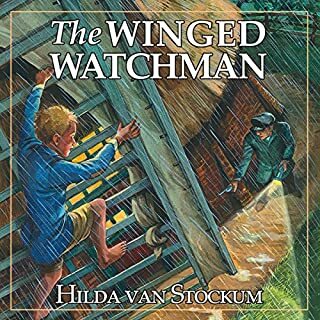 Excelletn read for all ages, highly recommend! As Sundar preached the gospel to the crowd, the monastery guard marched forward and arrested him. Sundar was dragged to the edge of town and hurled to the bottom of an abandoned well. The air was putrid. Desperation and loneliness soon washed over him. Left to die, Sundar leaned against the side of the well and began to pray. 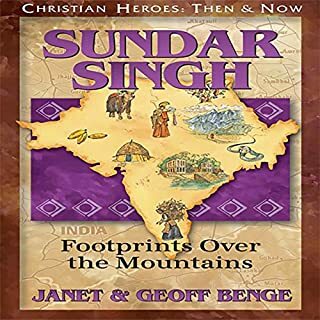 Searching since boyhood for the way to God, Sundar Singh found truth in Jesus Christ. Draws you in and hard to stop listening! 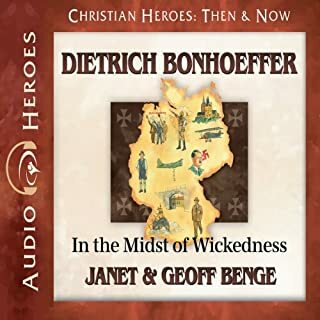 Born into a loving family, Dietrich Bonhoeffer (1906-1945) pursued a life as a pastor, teacher, theologian - and spy. He spoke out about the trouble in Germany when Adolph Hitler came to power, urging the Christian church to rescue disparaged people groups and resist Hitler’s evil empire. Accused of being a troublemaker, Dietrich continued on fearlessly in the midst of wickedness. His work as a spy in the German resistance and participation in a plot to assassinate Hitler led to imprisonment and eventual execution. 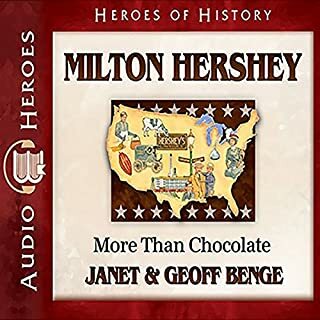 When Milton Hershey's famous Hershey Bars debuted in 1905, few people knew of the hard work, dedication, and sacrifice preceding the triumph. Debt, lack of support, and fatigue had been constant companions for the famous chocolatier and philanthropist - a man with a fourth-grade education. Despite comparisons to his wandering father, Milton never gave up. Learning from his mistakes, he spent a lifetime creating sweet things to eat - first caramel, then chocolate. As a 14-year-old intent on living a "modern" life, the last thing Isobel Kuhn (1901-1957) wanted to grow up to be was a missionary. But as it turned out, this young agnostic's life was redirected - from crisis and doubt to hope and strength. Convinced that God wanted her to preach the gospel as a China inland missionary, Isobel bravely served among the Lisu people in remote mountainous regions of China and Thailand. 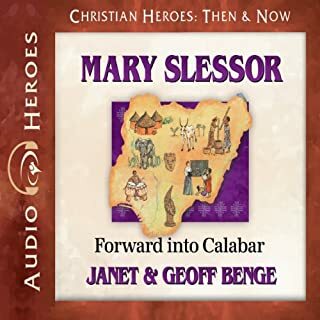 After 20 years of ministry Isobel returned to the United States, writing stirring stories of faith and inspiring generations of listeners. The real life of a missionary, way back when! Clara pushed herself to work faster. She had to get the wounded soldiers onto the train before the Confederates came over the hill. A messenger galloped up just as the last man was loaded aboard. "You have to go now!" he shouted. "The enemy is breaking over the hills. If the train is stopped, you will have to escape across country!" Just goes to show you that God loves everyone. Meriwether Lewis had been commissioned by President Jefferson to lead a daring expedition so remarkable it would become one of the most famous explorations in history. He chose William Clark as his co-captain. Their mission: to find a land route to the Pacific Ocean while learning as much as possible about the thousands of miles of unexplored territory they struggled through. Determined to make a difference and with an insatiable curiosity, love of adventure, and hunger for justice, Theodore Roosevelt exemplified a life directed by principle and not by circumstance. Overcoming severe asthma and a weak heart set young Teddy on a life course against the odds. William burst into the house. "I have found my destiny!" he shouted. "I have found a place where there is so much human misery in such a small space that there is a lifetime's worth of work there for me!" Horrified by the poverty and suffering most people took for granted in industrial England, William Booth dedicated his life to bringing the Gospel to the outcasts of society who would never enter a church and weren't welcome there. William wondered how anyone was supposed to battle slavery. After all, King George III and the Church of England both had large amounts of money invested in trade with the West Indies. And a large number of bishops sat in the House of Lords. William shook his head. This was a much bigger fight than he felt capable of taking on. For 200 years British slave ships plied the Middle Passage, taking African men, women, and children to their doom. Ever since he was a young boy dreaming of writing "God Is Love" on the moon so that all the world's people could see it, Loren Cunningham has committed his life to reaching the whole world with the good news of Jesus Christ, ministering in every nation on earth. Through his unswerving belief that nothing is impossible for God, Loren's vision of waves of young people became the reality of Youth with a Mission, unleashing young Christians in missionary service when that was unheard of. Inspiring history of the founder of a great org! Missionary trio Mildred Cable and Evangeline and Franscesca French were the first Englishwomen to cross the infamous Gobi Desert, living for years among the diverse peoples of northwestern China in places few Europeans ever reached. Educated and rich, Mildred Cable (1878-1952) once planned to be a concert pianist. Instead she served the people of China through wars and revolutions. Mildred followed Jesus with grit, determination, intelligence, and faith. When Charles Mulli was a child, his family repeatedly abandoned him, and he lived in fear of his abusive, alcoholic father. With an extraordinary will, the young Kenyan struggled to feed and educate himself and, encountering hope in the gospel, found a reason to live and to forgive. Later, as a multimillionaire and father of eight, the entrepreneur sold his businesses to devote himself to caring for street children throughout Kenya. Since 1989, Charles and his wife, Esther, have taken into their protection thousands of the most vulnerable. Exposed to the horrendous living conditions of women prisoners and their children, Elizabeth Fry pledged to improve the lives of society's most desperate people - something no one else dared to do. Telling doubters, "If I don't, who will?" Betsy became one of England's greatest reformers and one of the 19th century's most beloved people. Guided by her Quaker values, she led efforts in education and literacy, prison reform, and - together with figures such as William Wilberforce and Thomas Fowell Buxton - the abolition of slavery. Growing up in Greene County, Tennessee, Davy Crockett was educated through the toil of hard labor. Working as a farm hand and wagon driver, he learned about the people and the land of the West - and he was captivated. The untamed wilderness, the sound of wild animals, and the roar of the river would be his destiny. One of America's best-known folk heroes, Crockett (1786-1836) served as a frontiersman, a scout, a soldier, and a politician in the US Congress. He died defending the Alamo, a steadfast citizen and heroic leader to the very end. Jim and Pete turned to see the Auca men, their deadly spears raised, running toward Nate, Ed, and Roger. Jim stood in the river, his hand on his pistol. Should he defend himself? He already knew the answer. Each man had promised the others that he would not save himself by killing those they had sought out in Jesus' name. Jim Elliot and his coworkers surrendered their lives in Ecuador's jungle, trusting that their sacrifice would not be in vain. Once a kidnapped slave baby, George Washington Carver (1864-1943) found freedom in learning everything he could about the world around him. Overcoming poverty and racism, George became a brilliant scientist and a gifted professor who dedicated his expertise to helping black farmers escape the devastating grip of poverty. George's scientific creativity knew no limits. His ingenious experimentation with peanuts and other plants helped rescue the failing Southern economy. Still remembered for his far-reaching and diverse achievements, Dr. Carver generously shared his talent simply for the reward of helping others. this is a well written book. the story told his whole life from start to finish. it never got bogged down bit l but moved at a good pace. I recommend this book to anyone. The book was easy to listen to upbeat and will keep you captivated. Great book! Excellent story of a true American hero. Highly recommend. Narrator was good but some of the character voices were a bit annoying. This is one of the best books I have read! He clearly showed how you can overcome all obstacles in life. He got an education way beyond what most black folks would think possible, used all his talents to the fullest, was frugal with every dime he ever got, and never adopted the idea that anyone owed him anything for nothing. I believe every high school sophomore should be required to read this book.